SCOTTSDALE, AZ: So before we get all down and dirty on Acura’s latest venture in providing an entry-level luxury vehicle (sounds almost oxymoronic) to the North American and even the fastest-growing market in China, market. Let’s deal with some tasty bites of information. 1. 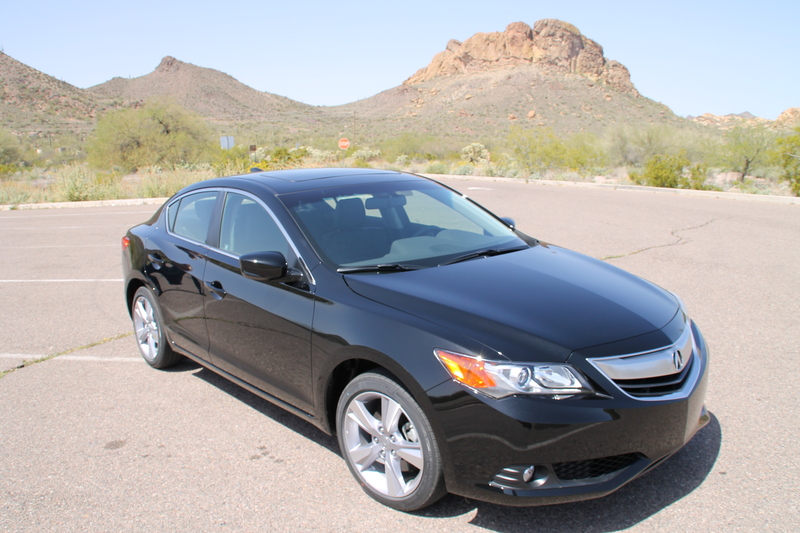 Acura’s newest model, the ILX, slots in below the Acura TSX and is loosely based on the Honda Civic platform. 2. Three models are offered, including a base 150 hp 2.0L 4-cyl, a 201 hp 2.4L –and a 38 mpg combined Hybrid. 3. Pricing for the base ILX starts at $29,790 and tops out at $32,900. The ILX 2.4L is priced at $29,990 and the Hybrid at $34,990 to start. Acura Canada has some interesting sales projections for this model and believe that the bulk of their numbers will be made with the 150-hp 2.0-litre when coupled with a five-speed automatic. The ‘drivers’ out there will be attracted immediately to the 201-hp 2.4-liter with a six-speed manual. 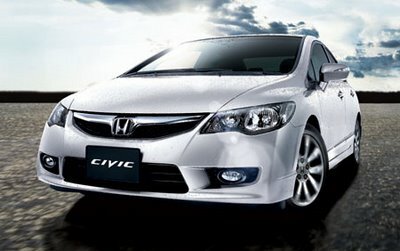 And then there is the Hybrid which uses the Civic hybrid’s power train – but with a slightly jumpier throttle. Sales numbers? Well, Acura Canada are being quietly optimistic; the addition of the ILX will take Acura’s overall vehicle sales to more than 20,000 – 5,000 of those numbers being directly attributed to the ILX. I had the opportunity of driving all three vehicles on the terrific US Army Engineers-designed roads sweeping through the hills/mountains outside Scottsdale, Arizona. Initial thoughts? A Hybrid with CVT is not a great choice for roads where the incline changes quickly and often suddenly. As a commuter vehicle involving in-town and highway driving, fine. The 2.4L with MT was a fun ride. The vehicle responded very well – whatever it was asked to perform. The downside is that it’s only available with standard transmission. Acura may have missed the mark with this decision. As an entry level sedan for a luxury brand, the 2.0 does not miss the mark, either. We were advised that the ILX has class-leading safety performance and is expected to achieve industry leading safety ratings from both National Highway Traffic Safety Administration (NHTSA) and the Insurance Institute for Highway Safety (IIHS). While the similarities to the 2012 Civic are, perhaps a little obvious, at this point, we cannot comment on this vehicle as it relates to the anticipated Civic ‘refresher’ expected later this year. We may well be dealing with a chicken and egg situation. Regardless. the suspension and floor are vintage Civic. 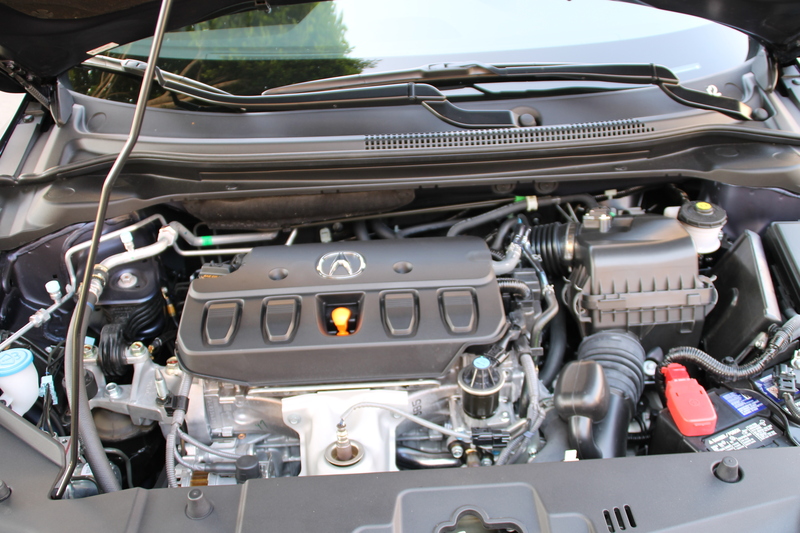 Acura stylists have stretched the hood – perhaps to match the ILX’s premium aspirations? Stylists also worked at moving back the A-pillars 7.9 inches and the windshield base only 3.9 inches, necessitating deeply curved glass. The Civic’s traditional front overhang has been stretched slightly while the rear was chopped – a little abruptly, creating odd visual proportions when the car is viewed in profile. Acura engineers and stylists refer to the exterior design concept as ‘aero-fused dynamics’. To use their words, “Cabin and body feel like they are pulled back, creating an impression that the rear is firmly planted.” Right. The interior is comfortable and familiar buttons are positioned on the console – in fact, it appears that the audio and climate controls are from the TL. 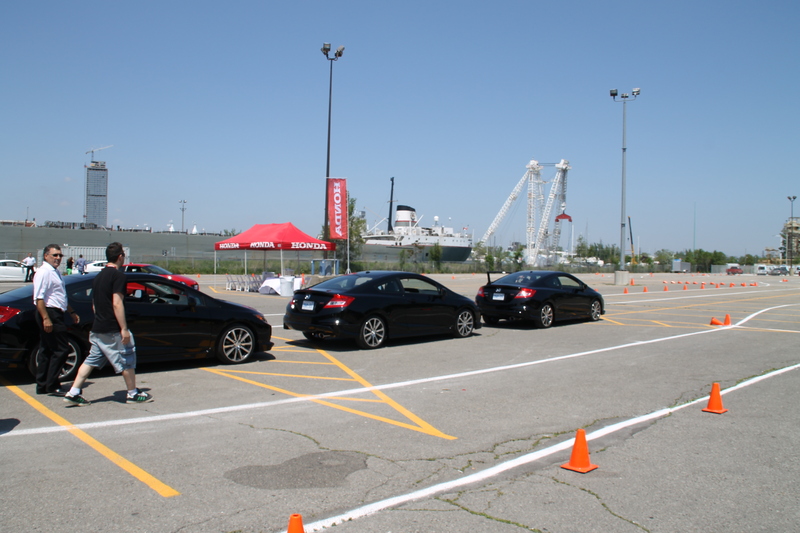 In the ‘boiler room’ the 2.0-litre is bigger than the 2012 Civic’s engine and the 2.4 is the same as the Civic Si’s. Acura’s engineers and stylists have worked hard to provide a car that is quite quiet in the cabin at highway speed. The ILX achieves its targets by being quieter and feels more substantial, especially with its deluxe Acura interior, though there us some road noise from the standard all-season tires – especially when imperfections on the blacktop were hit. The electric-assist steering is almost typically light and drivers will not struggle to place the vehicles longer nose in its best driving position while the aforementioned tires and suspension keep it there. Getting back to the chicken and egg premise, this ‘driving feel’ is something that all Civics should have – including the Si. Will the Acura ILX succeed? Acura is introducing a luxury, albeit entry level vehicle to the market with a starting price point under $30,000. That is a good thing. Considering the level of finish inside and out and compared to their direct competition, they may well have a winner on their hands – especially with the 2.4L when compared to the BMW 3-series or even the less expensive Buick Verano. Acura sees the ILX as a true luxury gateway model. And maybe that’s not a bad way of looking at things. Other premium manufacturers have almost stepped back from the compact segment in recent years. Acura has a huge opportunity to make premium compacts a mainstream category. The Acura ILX offers luxury for less and is certain to also deliver brand qualities like reliability and durability. And, customers have a choice, too; not just one model fits all. We’ll pay attention to the monthly sales numbers and see if they, Acura Canada are being, like Acura owners, aspirational.